FOX has cast Emmy winner Gerald McRaney in its Southern soap pilot Filthy Rich, where he'll play the CEO of a conservative television network. 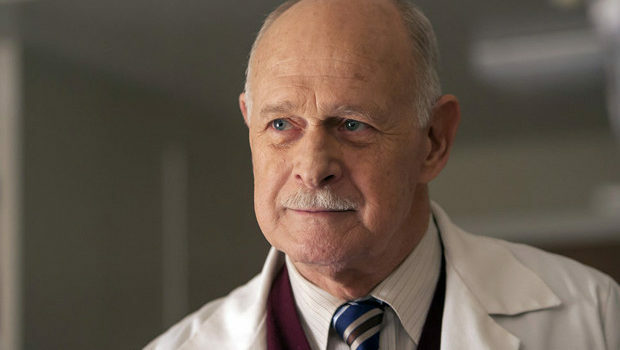 TV Line is reporting that Emmy winner Gerald McRaney (This Is Us) has joined FOX soap pilot Filthy Rich. Based on the New Zealand drama series of the same name, with Tate Taylor (The Help) developing for American television, Filthy Rich tells the story of the Monroe family, in charge of a hugely popular conservative television network based in Mississippi. When their patriarch (McRaney) suddenly dies in a plane crash, they’re stunned to find out that he not only had grown, illegitimate children they knew nothing about, but these new heirs are in his will. The series follows the Monroes as they fight to hold on to what’s theirs while maintaining their perfect facade to the outside world. McRaney will play Eugene Monroe, the charming, charismatic, and extremely Southern CEO of the Sunshine Network. He’s one-half of a conservative power couple with Margaret (Kim Cattrall), co-CEO of the network and host of a celebrated lifestyle series. In addition to his role on the NBC drama, McRaney’s television credits include Shooter, House of Cards, and Agent X. He joins a cast that features Aubrey Dollar (Battle Creek), Benjamin Aguilar (Aloha Haha), Z: The Beginning of Everythingalum Corey Cott, and Mark L. Young (The Comeback). Filthy Rich is part of a drama pilot slate for FOX that includes cop drama Deputy; A.I. thriller neXt; an untitled dramedy from Tom Kapinos (Lucifer) that takes place over the course of one wedding; legal drama Prodigal Son; and an untitled fertility drama from Jason Katims (Friday Night Lights) based on Australian series Sisters.